The automotive industry presents both opportunities and challenges for carmakers worldwide. Some industry experts have estimated 73.9 million vehicles were sold globally in 2015, and this figure may rise as leading automakers allocate additional time and resources to enhance their models. At the same time, automakers are facing increased demands from consumers, making it exceedingly difficult to stand out in a crowded marketplace. What does it take for an automaker to differentiate itself from rivals and drive consistent results? Extreme Leadership, of course! With automotive industry leadership speaker Steve Farber, your organization can receive insights into the key tenets of Extreme Leadership and find out what it takes to create a culture of transformation. The Radical Leap: Encourages leaders to embrace the Love, Energy, Audacity, and Proof (LEAP) framework in all that they do to inspire themselves and others. The Radical Edge: Drives a journey of self-discovery, one that empowers anyone to renew their passion and excitement for day-to-day life and find ways to change the world for the better. Greater Than Yourself: Shows a reader how to become a genuine leader, i.e. someone who could care less about their title, position, or role in an organization and is focused on taking steps to achieve their full potential and teach others how to do the same. 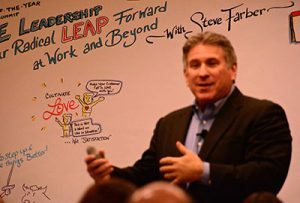 As an auto industry leadership speaker, Farber has shared his Extreme Leadership mission with automotive organizations big and small, ensuring audience members can understand how to become an Extreme Leader who is passionate and engaged in their everyday activities. He also provides multiple presentations to help your automotive organization learn how to transform its culture into one that emphasizes Extreme Leadership at all levels. "No longer can employers afford to underestimate the power of leadership and a strong sales team. Today's work environment requires a different kind of leader, one with the heart and courage to win the war on talent. LEAP rewires and 'supercharges' leaders. It shows how to fix the leader, fix the environment, and fix the turnover and retention." Let's face it – if you hire a traditional speaker for your automotive organization, there's a chance you may wind up with a dud. The presenter might struggle to relate to the audience, and as such, their presentation could miss the mark. This means if you make the wrong choice, your organization could miss out on a golden opportunity to educate your managers and employees and waste precious time and resources. On the other hand, there's Steve Farber, a proven auto industry leadership speaker who tailors all of his presentations to his target audience. Thus, if you book Farber, you're guaranteed to reap the benefits of a superior presentation designed for your organization, its managers and employees, and its goals. Fear and Love are two of the key drivers behind the human experience. 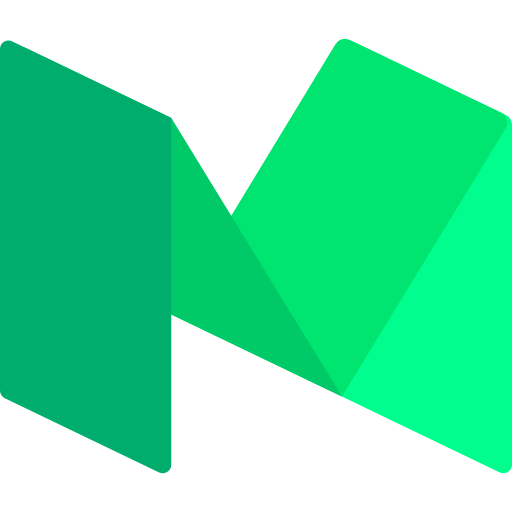 They are extremely powerful, and if we know how to harness their power properly, we can deliver meaningful change in any position, in any organization, at any time. Or, if we try to ignore Fear and Love altogether, we're unlikely to make the most of the human experience. Farber's Extreme Leadership presentation represents an excellent choice for current, next-generation, and high-potential managers and employees. It may deliver immediate and long-lasting results, ensuring managers and employees can understand the ins and outs of Extreme Leadership and help an automotive organization take the next step forward. Have you ever been a part of an automotive organization where a leader simply bosses everyone else around and expects maximum effort, regardless of how employees are treated? Sadly, you're not alone if you said yes. In order to be Greater Than Yourself, you need to understand the differences between a typical leader – like the one above – and an Extreme Leader – someone who serves others and is ready to transform an organization in any way possible. Expand Yourself: Discover the tools needed to embrace and expand your leadership capabilities. Give Yourself: Find out what it means to "philanthropize" and develop leadership in yourself and others. Replicate Yourself: Understand how you can go beyond yourself to influence others and change the way your automotive organization operates and fosters leadership. Becoming Greater Than Yourself may seem like an uphill climb, but Farber will work with audience members to ensure they fully understand what it means to become Greater Than Yourself every day. Rome wasn't built in a day, and much in the same vein, your automotive organization cannot optimize its results if its departments operate in silos and its employees and managers fail to collaborate with one another. Instead, someone has to take accountability and be willing to do whatever it takes to drive an organizational transformation to get the most out of all involved. Farber's Radical Accountability presentation will show managers and employees how they can inspire transformation from any position, in any automotive organization. As a result, the presentation could make a world of difference for your automotive organization’s leadership skills both now and in the future. When the world appears to be collapsing around you, how do you respond? Most of the time, we try to operate with a safety net to avoid this scenario at all costs. Believe it or not, Working Without a Net can help us get the most out of ourselves and empower us to become Extreme Leaders who are committed to transformation. Farber will define Extreme Leadership and open a dialogue with the audience. The audience will break up into small groups and come up with one important question about leadership. Farber will respond to each group's question and, when appropriate, facilitate a larger discussion with the entire audience. At the end of the presentation, audience members will walk away with a deep understanding of Extreme Leadership and its benefits. Farber's Working Without a Net presentation offers a terrific choice for automotive organizations. After the presentation, managers and employees will know how they can operate without a safety net and be prepared for anything and everything that comes their way. Ready to teach all members of your automotive organization about Extreme Leadership? 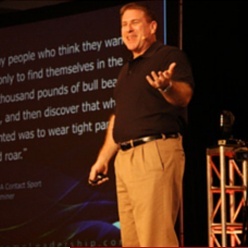 To book auto industry leadership speaker, Steve Farber, for an event, please contact us today.